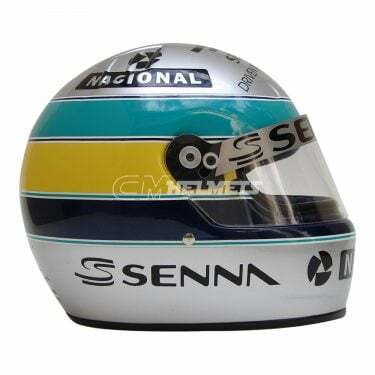 The legendary Brazilian champion competed in Formula 1 from 1984 until his fatal crash at the 1994 San Marino Grand Prix. 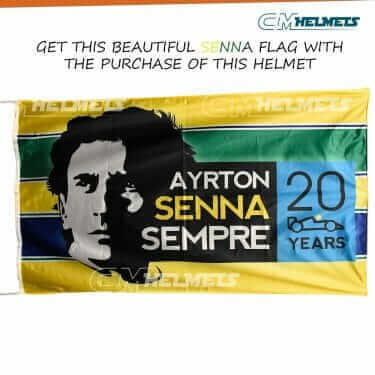 During his illustrious career, Senna won 41 races, achieved 80 podium finishes and 65 Pole Positions. 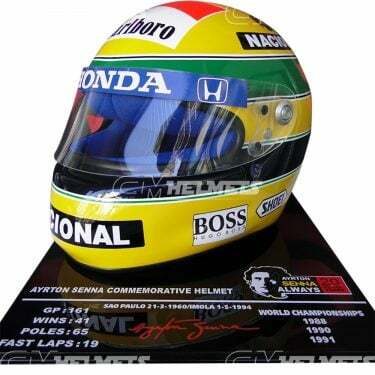 Senna won three Formula 1 World Championships driving for McLaren-Honda (1988, 1990, and 1991). In his career in the pinnacle of motorsport, the Brazilian drove for Toleman, Lotus, McLaren and Williams. 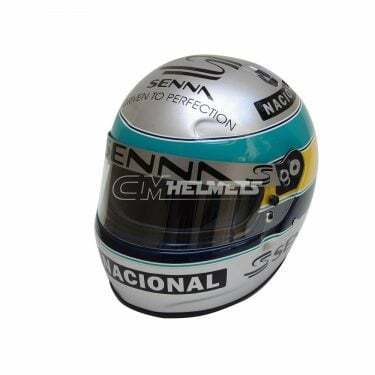 The largest catalog of Ayrton Senna replica helmets is for sale at the best prices.